The Wizard Of Oz Portrait. 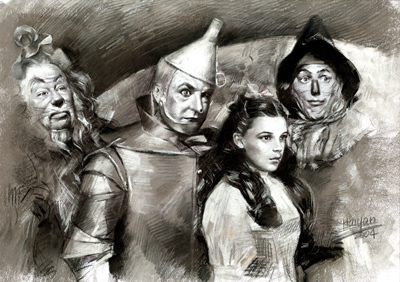 a portrait of dorothy,the scare corbeau, corneille the tin man and the cowardly lion. Wallpaper and background images in the Le Magicien d’Oz club tagged: portrait the wizard of oz film image fan art. They have certainly captured their features !Great !